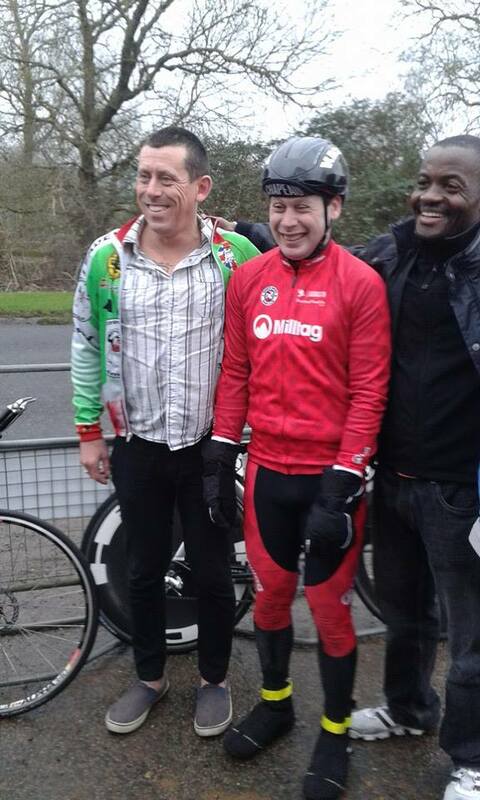 Starting on January 1st 2015, Steven Abraham commenced an attempt to beat Tommy Godwin’s annual cycling mileage record, which had been set way back in 1939. He had to cycle more than 75,065 miles in 365 days. That was an average of over 205 miles a day, every day, for a year. The UMCA (Ultra-Marathon Cycling Association) devised a new award for the attempt, called the Highest Annual Mileage Record (HAM’R). You can read my interview with Steve from January 2015, just a few weeks after he’d started his world record attempt, on this link. Steve was tracking well ahead of the target daily mileage schedule when, sadly, he was struck by a drunk moped rider – on 29 March 2015 – breaking his lower leg in two places (and effectively ruling him out of the running for breaking the record at the end of 2015). An American endurance cyclist named Kurt Searvogel was concurrently chasing the same record and continued on, to set an impressive new mark of 76,076 miles on 10 January 2016, which has become Steve’s new target. Cycling journalist Jack Thurston (from The Bike Show, on Resonance FM) held an interview with me at the end of 2015 (which would have been when Steve had planned to complete his record challenge). The interview was aimed at summarising Steve’s plans and progress since his accident, assessing his chances in his new world record attempt (which had commenced on 8 August 2015) and also explaining why Steve would be reluctant to quit when the going got tough.